Han Gong-ju continued its winning streak in December at Marrakech International Film Festival, where it won the Golden Star, and in January at International Film Festival Rotterdam where it picked up the precious Tiger Award. Now it can add not one, but three prizes to the impressive collection. During the Deauville Asian Film Festival's award ceremony, which was held in France yesterday, Han Gong-ju received the Jury Prize (ex-aequo with Anurag Kashyap's Ugly), the Critics' Prize and the Audience Award. South Korean cinema is a strong presence in Deauville every year since the competition section was added to the festival in 2000 ( Lee Myung-se's Nowhere to Hide won the first ever Jury Prize). Seeing the ever-growing number of positive responses, Han Gong-ju is gradually turning into one of the most highly anticipated independent South Korean pictures. 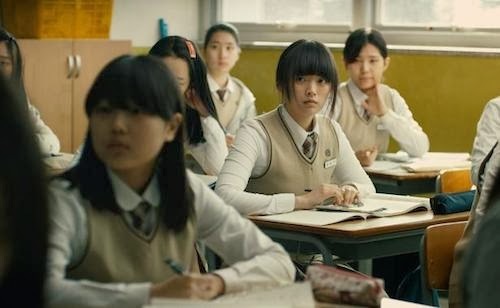 The Korean theatrical premiere has been set for April 2014 and, given the notable buzz that surrounds the film, it seems that it's only a matter of time before foreign companies will pick Han Gong-ju up for a wider release. MKC's own Pierce Conran had the pleasure of seeing the film and shared the experience in his review: Busan 2013 Review: The Devastating Han Gong-ju is BIFF's Hidden Gem.